The good Lord was certainly smiling down yesterday, and the timing could not have been better. On the day that the John Oaksey National Hunt Chase took place at Cheltenham the news was announced that Ryedale District Council had granted planning permission for Jack Berry House in Malton. Oaksey set up the Injured Jockeys’ Fund in 1964 following falls which left jockeys Tim Brookshaw and Paddy Farrell paralysed. 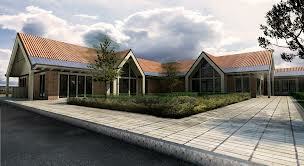 He was President of the Fund until his death at the age of 83 last year, and was a driving force behind the work that in time led to the building of Oaksey House, the major centre providing specialist rehabilitation facilities for injured jockeys. That’s very likely to happen, and nobody will work harder to ensure that it does than former jockey and trainer Jack Berry, who is also the long standing Vice President in of the IJF. The house already has an alternative name as The House That Jack Built, in recognition of the work he has done in highlighting the need for a rehab facility in the north, and in securing funds towards the work. Permission was granted for “the erection of a rehab centre for injured jockeys including respite accommodation, a fitness centre, amenity areas, car parking, landscaping and erection of a three bedroom site managers dwelling with an attached garage.” Once the project has bought the agreed site from the Fitzwilliam Trust, it will cost in the region of £3.5m to build and kit out the centre. The plan is for building to start in October this year and for the centre to open around a year later, and definitely in the year the IJF celebrates its 50th anniversary.